At Balanced Life, we’re proud to announce we’re carrying Vivier skin care, which includes the amazing chemical peel for youthful, radiant skin. We’re all about making sure you look and feel your best while using the absolute best technology and products and we want to make sure you continue that self-care at home. Vivier is a pharmaceutical skin care company that is in over 20 countries helping people with their skin woes. Just like us, Vivier only allows their clients to have the highest quality of product for their skin. We want you to make sure you look and feel your absolute best! If you’ve never had a chemical peel before, it can sound like a scary and painful procedure, but it’s not! There’s practically no down-time and there’s minimal discomfort, if any at all. But what exactly are the benefits of getting a chemical peel? We’ve created a chart with all the benefits! Having troubles reading this? Click it to enlarge the photo and zoom in! If you’re interested in getting a chemical peel, it’s best to have a consultation just to ensure you don’t have anything working against you like medications, that could cause any issues with a peel. Some people require a few peel sessions to get full results, others only need one. Your consultation will allow the aesthetician to give you an estimate on what needs to happen. If you have a big event, this peel is great to put your best face forward. So What exactly is in viver’s chemical peel? Viver has therapeutic ingredients within its treatment to give you the best skin you can possibly have. Viver’s chemical peel contains Lactic Acid (improves the moisture level in dry skin), Salicylic Acid (helps reduce overproduction of oil in the skin, improves texture and eases hyper-pigmentation) and Resorcinol (eases redness, inflammation and acne). Check out our beauty deals in time for the holiday season! If you haven’t already heard yet, we’re now offering online booking for consultations and appointments! Book early to avoid disappointment. 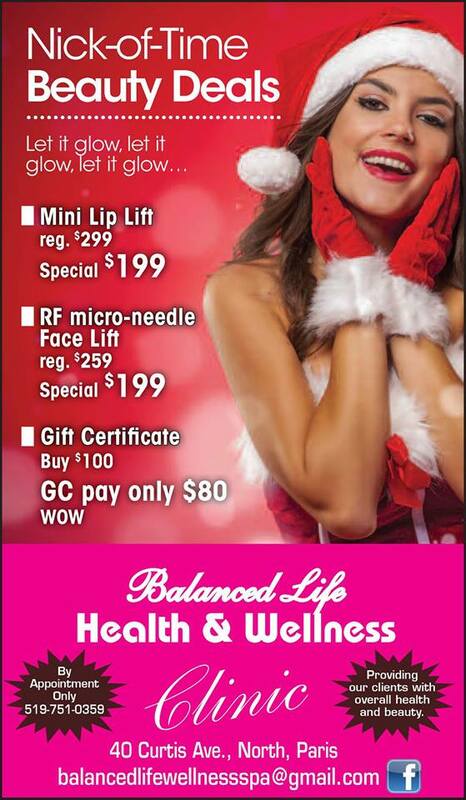 At Balanced Life, we also carry Lip Masks ($4 each or 10 for $35) and Gold Bio-Collagen Facial Masks ($12.95 each or 10 for $120)- both perfect for a night out. 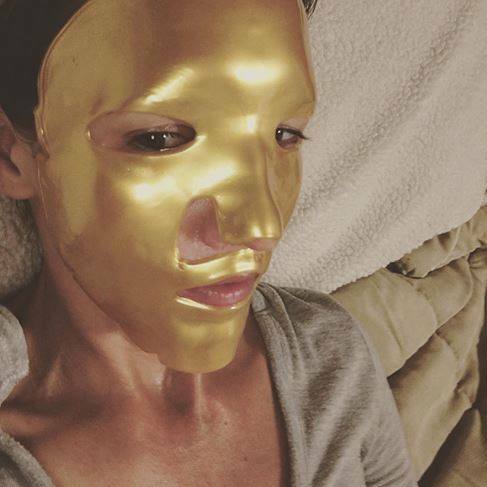 Check out one of our very own ladies trying out the Gold Mask – perfect for perking up your face for an important event! Come into the shop or call us to purchase packs of 5 or more to get them shipped to your door (Canada only).